Fire Training: What's The Point? The Order also requires business owners to appoint a 'competent person'. This means a trained and knowledgeable staff member who is responsible for to carry out firefighting duties, including escape drills and overseeing maintenance of all firefighting equipment. In addition, if your business employs more than four members of staff, you must make a record of your fire safety policy, fire safety procedures and your training drills. This may all seem daunting to a small business but there is no need to worry. There are a wide range of training opportunities available to provide expert training either at or outside the workplace. The Staff Member: Why Do I Need Fire Safety Training? Put simply, for your own safety! Equipping yourself with the necessary knowledge and training will not only enable you to escape from an emergency situation more quickly, but also ensure you can tackle small fires in the workplace and home. The best fire safety equipment available is as good as useless if nobody knows how to use it. Which Fire Training Methods Are Best? We don't all learn in the same way. Luckily there are variety of different options available. This is a great way to train your staff, free from the distractions of the everyday routine. Good off-site fire training courses will combine video elements, lectures and practical hands-on experiences. Several commercial firms around the country offer such courses throughout the year. Your business may not be able to afford either the cost or time for external training courses, so you can devise your own training from the variety of resources on offer. Instead, show the DVDs as part of a group course and encourage participation. Combine book-based learning with a talk from a Fire Officer or similar, to broaden to delivery of knowledge. When you replace your outdated fire extinguishers with new ones, keep the OK-to-use-but-outdated fire extinguishers. These are ideal for training days, allowing staff to experience actual use of a variety of extinguishers. Just remember to try them out in areas where it is easy to clear up the mess afterwards, and safely dispose of any foam or powder. Although fire drills can just seem like a welcome break from the office, they are crucial in any fire safety plan. 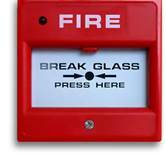 Fire drills are excellent at flagging up any potential issues in your fire safety provision. Did the alarm sound clearly in all parts of your building? Were the fire exit signs clearly visible to all your staff? Did any staff get confused or lost on the way to the assembly point? Did they encounter any unforeseen obstacles on their way? The findings of any fire drill can form a valuable update to your Fire Risk Assessment, and help keep your staff both safe and vigilant.